I didn’t grow up in a city. I grew up in Lismore – accurately described as The Wok. In summer, you would drive down into the bowl: the humidity and heat would make you feel like you were being cooked. My mother never believed in air-conditioning – only fans and ice-cubes. You could say I was in training for Green School. 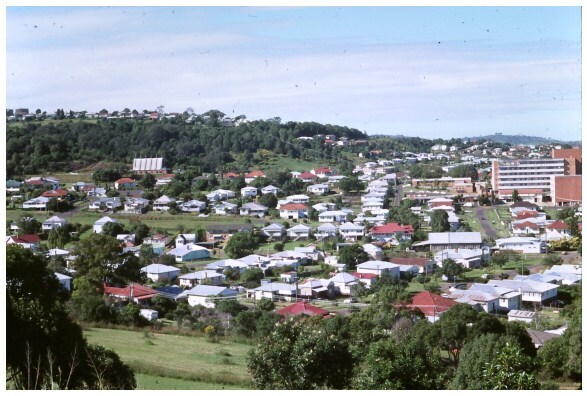 Lismore historically was a timber town – it was an area where settlers cleared The Big Scrub. Their gold was red cedar – a beautiful timber. Settlers were granted 100 acre blocks on the proviso they clear all timber off their lot within three years. Once laid bare, they could start dairy farms. My father owned farms. They were his hobby – I later realised they were his respite from a very demanding job as a doctor and a surgeon in a small country town, dealing with everyone’s issues. Every weekend, we would explore and connect with nature – trekking over 700 acres of play-space beside the most beautiful beaches in the world – fifteen minutes south of Byron Bay. The door would open at dawn and close at dusk – that was our only parameter. I fished, surfed, explored, built cubby houses, weeded and cared for nature within the mindset of an uneducated boy. I thought it was fine to drain your property. I thought it was okay to slash paddocks. I grew up with a father who cleared the land. We used to go snake hunting, and we had a collection of snakes stored in bottles and methylated spirits. I was raised in a family of eight (four boys; four girls; ten years from eldest to youngest). I was brought up without any materialism – my parents have always lived frugally, without show. We travelled on family ‘experiences’ – they were never deemed holidays. Strangely, however, the more my father farmed, the greener he became. Around us people sold their land for housing blocks and eve-to-eve brick venereal boxes. 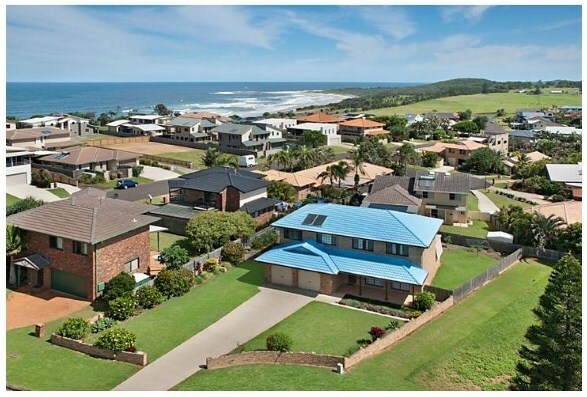 I woke up when I was 18 years old to see white picket stakes dotting the neighbouring headland. A sign soon went up – it was a land sale. 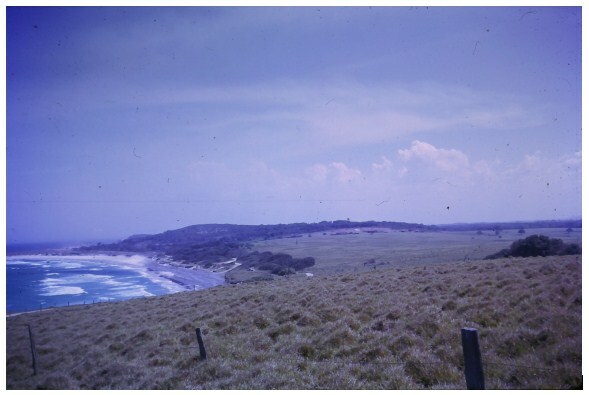 The entire headland was sold into oblivion. Many of my friends bought there. It still saddens me deeply. This upbringing on the farm nurtured my connection with the land and the sea. I never wanted to leave. Our farm was – and still is – special. We have never sold – and it is now the green corridor that separates one town from joining the other. Developers have persisted in trying to purchase our land. We have had many examples of corruption. We have had developments drain their waste water into our land; we have had people cut down our trees so they can glimpse “their” ocean view; we have had people vandalising our buildings. We even had our local Council build a carpark on our land beside the sea. We had sand-miners wanting to come onto the property to strip bare a hill for precious metals. As the developments of our local area grew, so did their pooh. The area moved to a sewage system and the dunny can man lost his job: he was the only one in town who knew everybody’s business. The result of a sewage system was an ocean outfall, pumping at night so you couldn’t see it. My sister – a fervent greenie – took us into our first protest. We locals rose up and, via surf competitions and much media presence, improved the treatment and outfall. We didn’t stop the outfall but we did ensure it was much cleaner. My father said it should have been pumped onto his paddocks, as it was good fertiliser. Byron Bay in my early childhood had been a whaling station. I never saw a whale breach in the ocean until I was aged 17 – and I surfed nearly every day since the age of 10. None would come near the shore. What I have learnt from my upbringing is the contradiction of ‘green’. We have people wanting ‘green’ space – but that is only after they have concreted their own pad. We have people protesting about pooh – but that is only after they have built a four-bedroom and en-suite mansion. We have people wanting to beautify the sand-dunes by planting selected natives and using treated pine logs with plastic white cabling to keep people out. We have environmental platforms for bird watching made out of concrete and fibreglass with information etched into stainless steel. What did I do? Some protest. Some complain. I went into education. I started with theatre education. My lecturer asked me to join his new company. I worked with the NSW Health Department and toured public schools the length of the state, performing healthy lifestyle and conflict resolution shows. My first true teaching position was at Hill House International School. I taught kids in London about the ocean outfall issues in Australia – on the other side of the planet – via Tracks surf magazines. In Cambridge, I taught about social justice and the water crisis. I used the computer as a tool to engage and connect. I created a World Poetry Day online forum, and received poetry from children around the world, including those suffering in the Middle East. St John’s was a school with over 600 years of tradition. It was also a school that taught me the importance of emotional intelligence – the affective teacher is an effective teacher. During my time at St John’s I published a CD ROM and textbook via Nelson Thorne on teaching descriptive writing. It didn’t become a bestseller (of which I dreamed) – but it was ahead of its time, and I used the coding skills of one of my students to develop the database backend – he went on to read computer science at Cambridge University. I, too, studied at Gonville and Caius for my Master of Education while holding down a job, publishing the school magazine, preparing for an Ofsted inspection as Director of Studies, and creating my interactive textbook. After ten years in the UK, I found myself back in Australia teaching at Central Coast Grammar School – a school focused on student-centred ownership. They had a welfare system unlike any other. This school was also one of the first schools to implement a laptop programme and the second school in NSW to introduce the IB. It was here I developed a new assessment and reporting system called STARS. I moved on to Tudor House – a school with over 115 years tradition. This school was far from the traditional prep school system – and I believe has strong links to the learning models of Green School. It allowed boys to be adventurous and connect with the land. Boys were able to climb huge trees unassisted; roam the farmland freely; catch fish we stocked in the dam; light fires and learn bush cooking; camp out unsupervised with mates. We pushed the limits on responsible risk taking. And then I landed one day at Green School. It was on my 20th Wedding Anniversary. What drew me to Green School was the belief of a new paradigm for learning – and I saw it here. Not so much revolutionary but more complementary – drawing together the best threads from educational research. I could see potential for refinement beyond a doctrine. I could see great energy, amazing passion, a community that had built a dream into reality – and with that a communal ownership. These elements are the foundations of a great school. So much has already been done. But I also felt a calling. I felt I could make a difference to refine key educational elements. I believe I can guide the development of the next stage of this incredible school’s growth based on my background. I want to respect and learn all that has been here – which is captured in so much oral history. I want to have this cultural intelligence implanted so I can best utilise my personal and professional experience to develop the pedagogy and vision.